CMA CGM has received acceptances for 89.47 per cent of CEVA Logistics’ shares and expects final settlement of its offer on 16th April. In a statement, CMA CGM said “CEVA acknowledges that CMA CGM is likely to hold, after settlement of the Offer, a percentage of the share capital and voting rights of CEVA that would allow CMA CGM to implement a squeeze-out. 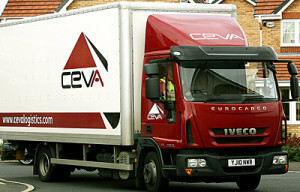 “CEVA would therefore apply for a delisting of its shares from the SIX Swiss Exchange. It is expected Rodolphe Saadé, chairman and chief executive of CMA CGM, will be elected as chairman on 29th April 29, with Rolf Watter acting as vice-chairman following the AGM. It is further expected that CMA CGM will retain three independent members of the Board of Directors of CEVA for the time being.